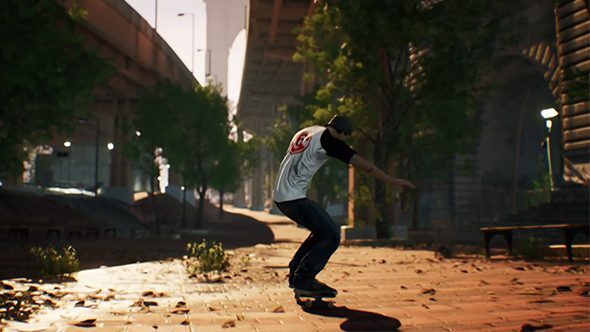 If you were left disappointed by the lack of a Skate 4 announcement at the EA conference then not to worry, Session has been shown off with a new trailer at the Microsoft E3 2018 press conference. The skateboarding game looks to have taken plenty of inspiration from the Skate series – there’s lots of close-up camera angles, an emphasis on simple but stylish tricks, and plenty of style. I am very, very excited. Session is being made by Crea-ture Studios for Microsoft Windows and Xbox One. The trailer doesn’t reveal an awful lot and feels like it was intended to set the tone for the game rather than show off its gameplay, world, or systems. One thing that is clear is the setting: Session takes place in New York. It’s been a really long time since the last major skateboarding game was released with Skate 3 dropping nine years ago and some lacklustre Tony Hawks games in the meantime. With no news of a Skate sequel, Session is certainly worth getting excited about. Its developer is calling it a skateboarding sim game, which suggests the gameplay will be much closer to that of the first Skate than some of the goofier elements introduced in Skate 2 and 3.